Putting together Europe's best travel bookstores and limiting them by a certain number (in our case: 5) was certainly a difficult challenge. For one, bookstores specializing in travel literature are certainly not a rarity and - although our wish to have more of these remains - it was definitely effortful to pick the best ones - and still, some may argue with our choice as there probably are bigger and/or better travel specialized bookstores somewhere out there, in Europe, of course. Thus, we welcome you to counterargument if you know of any bookstores we were yet not aware of and we'll do our part of adding the additional readers' picks. Before we move on to the very Top5, perhaps we should say a word or two about travel bookstores per se. What makes them stand out among your ordinary bookstores is the fact that many of them carry very little Sci-Fi novels, no school textbooks, nor chicklit. As a matter of fact, they carry very little fiction altogether - apart from some travel related novels which may be useful as they depict a certain area - although these themselves usually border with non-fiction (perhaps it's also important to note that these represent a special genre in English literature). What travel bookstores have is literature related to countries, peoples, cultures, histories, customs: maps, travel guides, stories recording travelers' experiences and travel journals (together known as travelogues), various phrase books, dictionaries, encyclopedias, anthologies, etc. And while many people today prefer to find all the information about the place they're going to online, there are, thankfully, still those who prefer to have a more comprehensive and binded paper edition of their favorite Lonely Planet, Frommer's, Fodor's, DK Eyewitness, Rough Guide or whichever they fancy. As always, the most difficult task when compiling a Top5 is to pick the number one. No matter how excellent nr.1 is, there are always those who could argue or dispute its lead. Nontheless, guided by our previous experience, we've decided to remain a tad subjective and thus award the title of 'the best' to Daunt Books of London. Oh, needless to add, most of our travel specialized bookstores are located in the capital of the United Kingdom, which is sort of natural considering that most of the books are even printed there and that English is the official language of the country. However, we have tried to include other (continental) travel bookstores in the Top5. 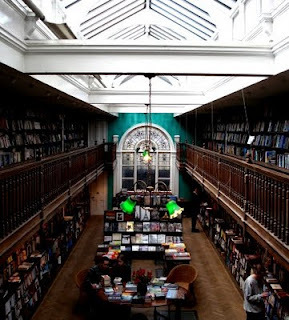 Daunt Books in Marylebone High St. is often given the attribute of being THE travel bookstore or even London's finest bookshop and judging by the number of positive comments on the web, these might well not be overstatements by any means. The enormous stock is organized in a rather interesting way: by countries and thus it makes it easier for browsing. What about the stock's quality? Well, you certainly won't feel like something is missing since Daunt Books indeed has it all: travel guides, hotel guides, maps, phrase books, travel writing, hist ory, biographies, various recipes and books on cooking, books on flora and fauna, coffee table books, photography books and even fiction, poetry, holiday reading, books for children. Besides the new stock, Daunt also holds a considerable amount of second-hand books. What more could you ask for from a travel bookstore? Although in the second position in this highly subjective Top5, Stanford's is definitely worth all the praise. 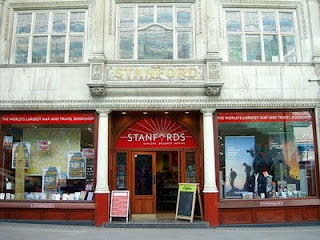 Established in 1853 by Edward Stanford, it is one of the oldest travel bookstores in Europe. With such a top location (Stanford's is located in the center of the kingdom's capital) this bookstore is easily located by millions of tourists who come to London daily. The visitors to Stanford's have a unique bookbrowsing experience - you can browse through their stock while literally walking on maps - from the map of London to the huge National Geographic world map on various floors. As for the bookstore's stock, Stanford's probably has everything you need: maps and books on Western Europe occupy one whole floor, while the rest of Europe resides above it. Furthermore, there are various globes of all sizes, travel lit, world music and film accompanied by travel accessories. The whole deal is organized by countries and thus easy to locate. However, if you have trouble finding the book you want or want to see if Stanford's has it in advance, their fabulous and easy-to-use online catalog will help you find the book you're looking for. Also, remember to check their fantastic monthly offers, such as 3 for 2 or the book of the month at 10 pounds off and many more. A travel, anthropology and nature bookstore - as stated on their website - Altair, with their two locations (one in Madrid and the other in Barcelona) is Spain's foremost travel literature paradise. The Barcelona based store is by far larger than the Madrid one, more known and better stocked (still, the one in Madrid is not that far behind any of the bookstores present in this Top5). Altair's amazing stock surpasses 60.000 publications - the most extensive selection of travel guides, maps of almost any imaginable place in the world - and all that not just in Spanish and Catalan but also in over a dozen different languages. What's more, Altair specializes in Europe as a region so it is not a surprise that most of their stock comprises of European related travel lit. The Barcelona bookstore itself was opened long ago, in 1979 and it has built a reputation of being a cultural place for idea exchange, a meeting spot for all the travelers in the world and for people of ubiquitous interests. It's not very common to open English bookstores which are specialized in one specific field of the book market in continental Europe. For this simple reason, this Top 5 is quite understandably dominated by bookstores from the British capital. The amazing Altair in Madrid managed to squeeze in the top three however and although this may come as a surprise, one more place was snatched by bookstore in a smaller (compared to the likes of London or Madrid) Dutch city of Den Haag - Stanley & Livingstone. And it's not only the original name, although we like it very much, that has earned this bookstore a spot among the selected few. The satisfaction of the multinational and multilingual clientele of this bookstore is the best evidence that Stanley & Livingstone deserves to be noticed by all those who have a passion for discovery and new destinations. If someone gave the guys (and/or gals) of the Travel Bookshop a penny every time they mentioned the infamous bookshop with regards to Hugh Grant (playing the sales assistant opposite a movie star, played by Julia Roberts, in Notting Hill), they'd be billionaires (or at least full of pennies in jars). 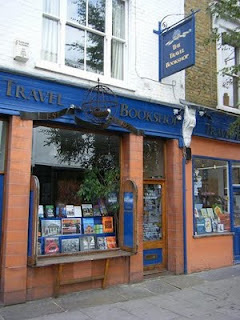 But however it may seem, the Travel Bookshop has (unconsciously perhaps) built its fame on it. Still, the bookstore is well worth all the praise and deserves a firm spot in our Top5. Founded in 1979 (the same year as nr. 3 on this list), the Travel Bookshop had nested itself among various galleries and affluent and fashionable stores and restaurants of one of London's most cosmopolitan areas. Still, they have persevered and retained their independent feel to carry on distributing various travel related literature to their readers. 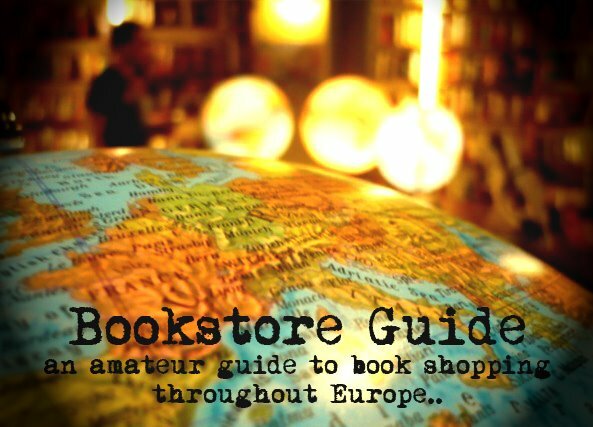 Within the bookstore you'll find an immense offer of guide books, travelogues, travel literature, photographic titles, maps, atlases, biographies, histories - all arranged by countries. Furthermore, you'll find a (more than a) neat range of rare, second-hand and antiquarian books definitely worth paying attention to.